How do you stop a juggernaut like President Xi Jinping before he commands and controls the respect and admiration of the world? He’s quickly closing in on that very position. Well, to stop him, the West had to hope that he’d stumble in an important, high-visibility place (read, South China Sea), which he did. And then act quickly to condemn him for it before China could mount a public relations campaign that would have made Xi look like a hero. Well, almost like a hero. China blew the public relations campaign, which would have been so easy to accomplish, and left Xi to the mercy of the Permanent Court of Arbitration, in The Hague; the outcome of which everyone on the planet knew would not favor China. And the West was less than deft as well. If the South China Sea (See: MAPS) was as important an issue as the world has been made to believe, it would have convened the Permanent Court of Arbitration in Asia, say, Singapore, to give an Asian twist to the outcome. Using a definition from Article 121 from the Law of the Sea (1994), The Hague court ultimately ruled that the islands in dispute were actually not islands but rocks. A ruling that creates more problems than it clarified. Plus, that ruling coming from The Hague now seems like just more Asia bashing from the same colonial powers that originally subjugated China with the disastrous Treaty of Nanjing in 1842, which, oh by the way, was why China lost those teeny islands in the South China Sea in the first place. At the time of the treaty, China led the world in GDP. It never would again. 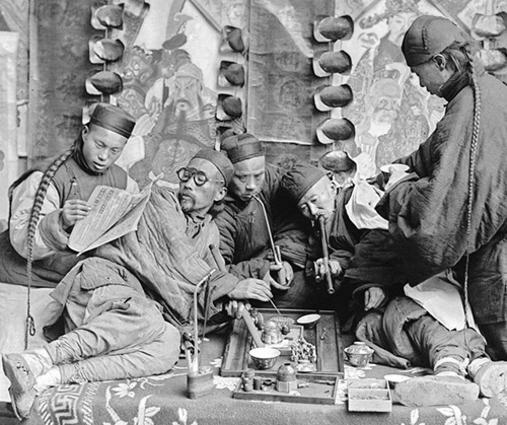 That was the First Opium War, when China refused to take opium in exchange for its tea, porcelain and other goods. The Chinese emperor hired a drug czar, who promptly seized the opium and burnt it, which made the English furious. A war ensued. For China, the treaty that ended the war was the beginning of what it now calls China’s Hundred Years of Humiliation. A hundred years of bad dealings with the West and East that ended only with the defeat of Japan in 1945. Think about what an awesome public relations campaign China could have made from all that opium and humiliation. It was barely a year after that disastrous treaty, 1843, that Captain Richard Spratly sighted the 14 islands and cays (490 acres) that now bear his name. Hundreds of years prior to Spratly, it was the Chinese and Vietnamese alternately landing on the islands, surveying them and leaving stone markers in claim of the meagre acres of sea-swept rocks. A prepared PR team could have also played on the fact that seven of the top ten busiest ports in the world are in China, that a third of world trade passes through the sea lanes of the South China Sea, including most of China’s oil imports, and that China, with zero allies in Asia, has no real way of safeguarding its oil deliveries or all that trade coming to and from its ports. 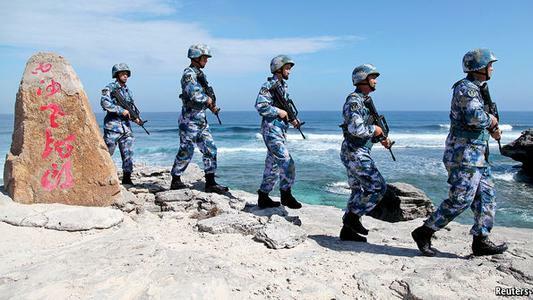 China’s South China Sea outposts could at least provide some early warning and reaction to a navy menacing all that sea traffic or blockading its ports. China will now do what it always has in the past, and should have done in the first place: quietly give a big wad of money to the Philippines, another big wad to the Vietnamese, make an agreement whereby China does all the drilling for gas and oil but does a three-way split on the profits. No. The real South China Sea fiasco was to thwart President Xi Jinping’s growing popularity and world acclaim. No one expected Xi to pull off what he has so far. It’s safe to say that he completely surprised the West, and the West is getting anxious about the clout that Xi has earned and is continuing to earn worldwide. Anyone today would be hard pressed to name a better world leader. Maybe Angela Merkel comes close, but her magician work has been mainly trying to keep the EU from falling apart. Xi, on the other hand, has been building a reputation for being humble, unassuming, firm, a man of his word, a guy who makes good on his promises, who cares intensely about his people and their welfare, who won’t countenance corruption even from the highest of high around him, and, although working through an extremely difficult financial and trade period in global history, is pulling off utterly remarkable feats to better his country and its people; and arguably, the rest of the world. Such character traits would have won him more than a few elections in the West…and an army of believers. A prosperous China means a happy world. Right? Isn’t the reverse of that what has happened since China’s market collapse in 2015? Xi has quickly become the most prominent and most respected global leader of the 21st century. His people have his back. He’s immensely popular among the masses, who refer to him as “Xi dada”, affectionately, Uncle Xi. They love him even more when he unexpectedly drops in like he did at the Qing-Feng Steamed Dumpling Shop in Beijing for a quick lunch. What Uncle Xi had that day for his no-frills lunch is now a national obsession: The Xi-Plate Special of six dumplings stuffed with pork and onions, green vegetables, and stewed pig livers and intestines. Cost: $3.40. China’s leader as a father figure and a government seen as a family is as old as China. What some parties fear is this growing belief in his integrity and right doing will cause problems. That he’s seen as the driver of the Belt and Road Initiative is arguably a large measure of its success. The game afoot now is to somehow sully his growing influence. Maybe catch him in more traps like the South China Sea. Tarnishing his rising star a few times will create doubt; hijack that rising star over a larger incident than the Spratlys and he’ll be effectively checkmated. With all the sabre rattling going on in the South China Sea, China can ill afford to provoke confrontation or violence or worse. To do so, keeps China from its real mission which is to clean up its polluted water, poisoned air, and diseased land for which it has fifty years to accomplish or there will be no China as we know it today. 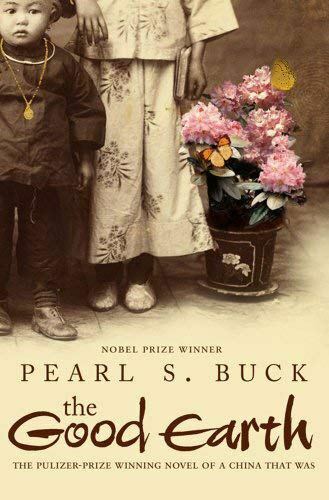 China will revert to the catastrophic place that Pearl Buck wrote about in The Good Earth. The misery that befalls Wang Lung and O-Lan’s life could befall millions in the near future. That’s a China no one wants to see come to pass. An enormous part of China’s future and the realization of its fifty year mission will fall to robotics and automation. Without them China has no chance of attaining the China Dream. That would be a huge loss for the planet.